Nov. 1, 2016, 12:43 p.m. The New York Times on Tuesday continued to grow its virtual reality offerings by launching The Daily 360, a daily series of 360-degree videos. The first video is a minute-long look inside the rubble of a social hall in Sana, Yemen that was destroyed in a Saudi airstrike. 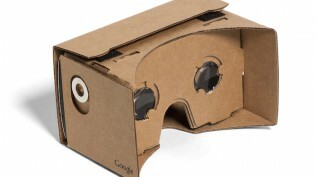 The Times began its push into virtual reality last year when it launched its NYT VR app and sent out a million Google Cardboard headsets to Sunday print subscribers. Last December, the Times produced its first entirely in-house VR project, and this spring its graphics and science desks produced their first VR film. For The Daily 360, the Times is partnering with Samsung, which gave the Times the equipment to produce the videos. In a note at the bottom of its introductory post, the Times wrote, “Times journalists have been provided with Samsung Gear 360 cameras and equipment to use while reporting out in the field,” and the credits of the initial video also identify that the technology came from the company. Samsung will also publish The Daily 360 videos on its own platforms. The Times is dedicating some of its most valuable digital real estate to the series — it sent out a push alert promoting it and the video from Yemen tops the homepage. Sam Dolnick, the Times editor overseeing VR, told my colleague Ricardo Bilton in May that the Times doesn’t “expect our VR app to be a daily habit in the way that the core app is.” As a result, Daily 360 videos will be available on the main Times app and the Times’ website in addition to the VR app. We are going to keep going after the big stories, but we’re also going to do VR films that look at the worlds of style and culture. The New York Times contains multitudes. Clarification: An earlier version of this story misstated the chronology of the Times’ VR history. Lichterman, Joseph. 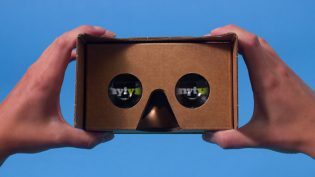 "The New York Times is launching a daily 360-degree video series." Nieman Journalism Lab. Nieman Foundation for Journalism at Harvard, 1 Nov. 2016. Web. 25 Apr. 2019. Lichterman, Joseph. "The New York Times is launching a daily 360-degree video series." Nieman Journalism Lab. Last modified November 1, 2016. 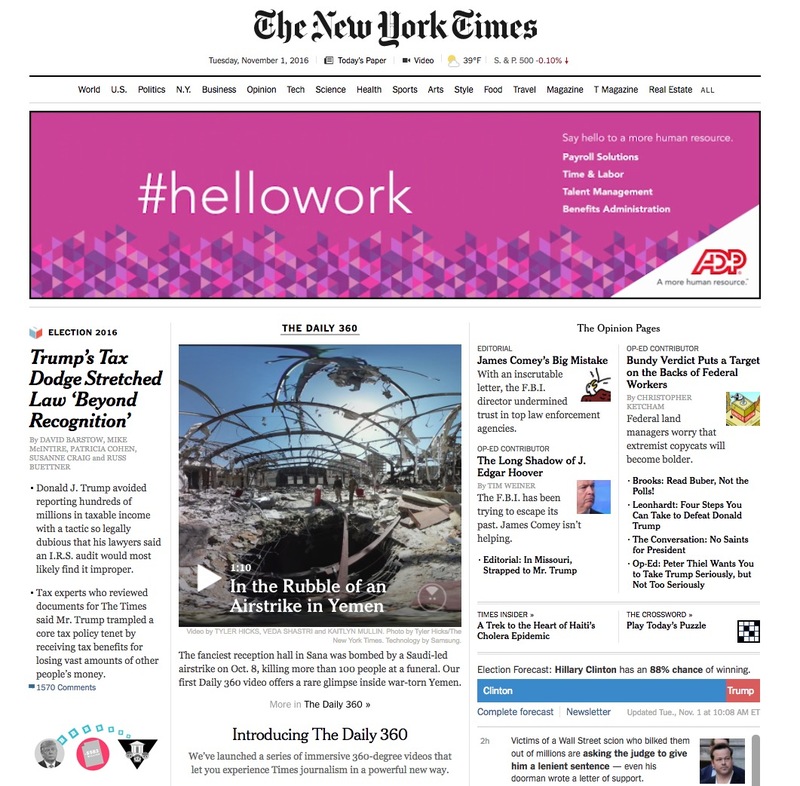 Accessed April 25, 2019. https://www.niemanlab.org/2016/11/the-new-york-times-is-launching-a-daily-360-degree-video-series/.